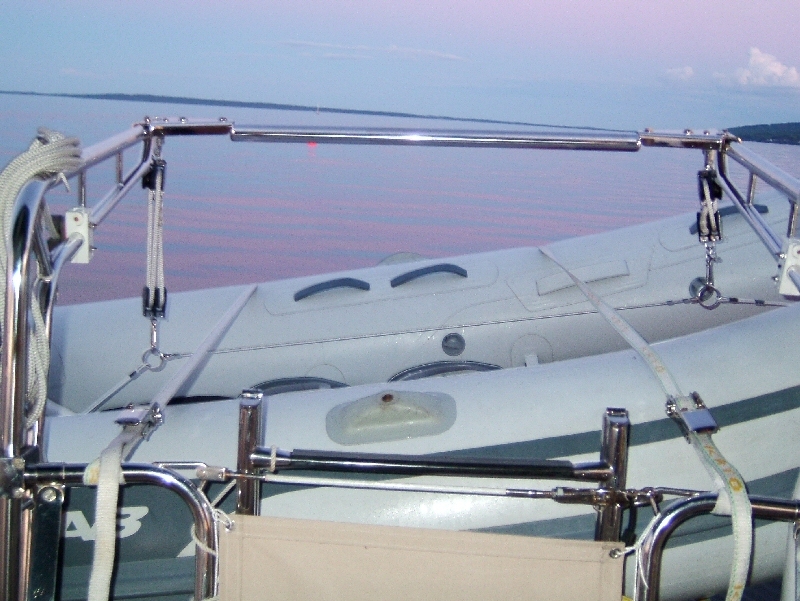 In 2002 we purchased a new AB dinghy and did not like the way that it fit on the davits. 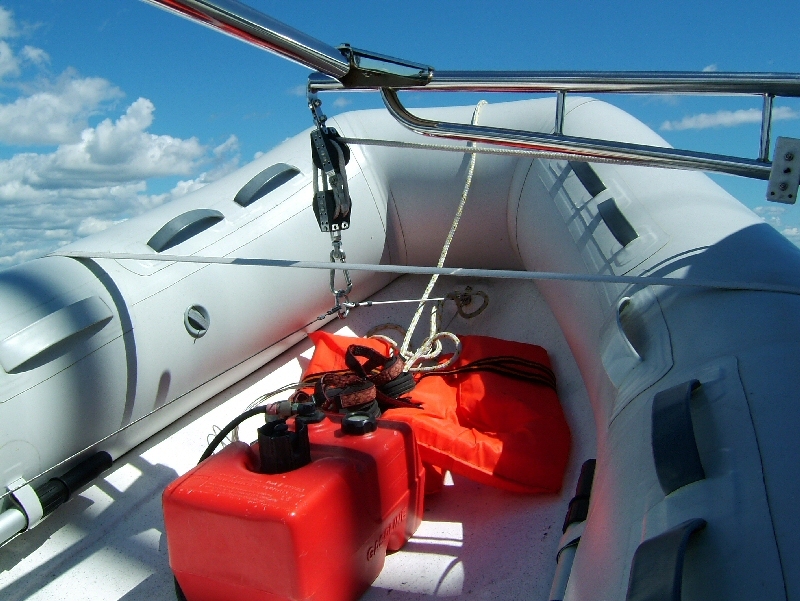 We modified the dinghy and added new lift points and fabricated a lift bridle. 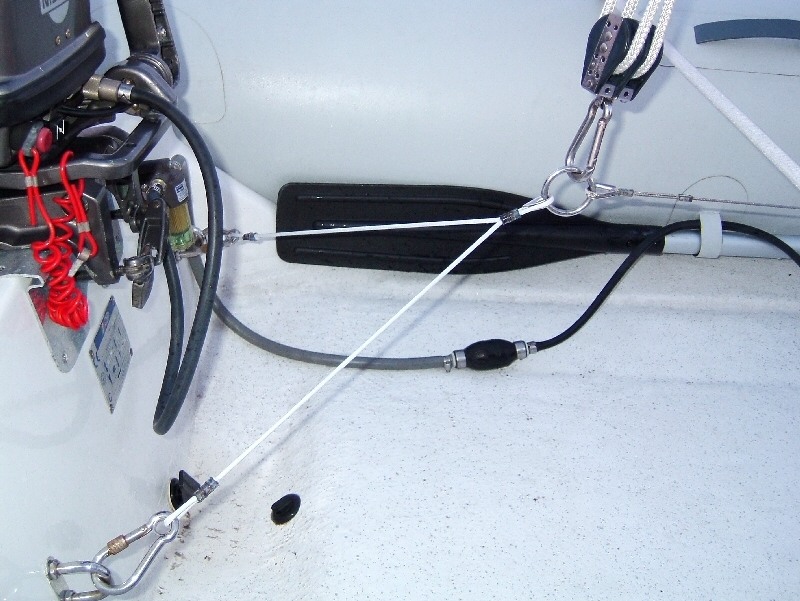 The lift bridle gave us two lift points that were directly under the davit arms/lift tackle. Lifting the dinghy was now easier and once lifted it was held more firmly in place. After getting water into the fuel several times we added this small Racor Fuel/Water separator. 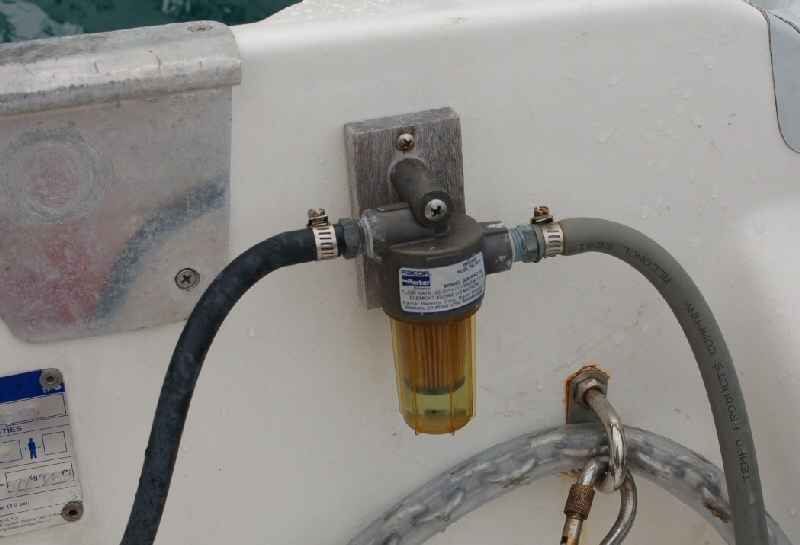 The filter is mounted inside the AB transom and is spliced directly into the fuel line.